When Emily Kane arrives at her sister Carrie's house, she finds the front door unlocked and no one inside. Dinner's cooking, the TV's on. Carrie, her husband, and their two daughters are gone. 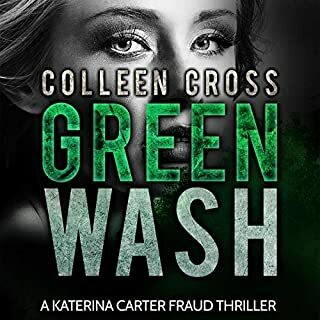 When the police draw a blank, Emily asks missing persons investigator David Raker to find them. 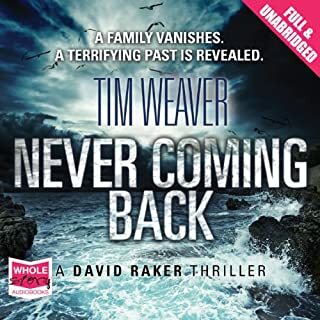 But as he gets closer to the truth, Raker begins to uncover evidence of a sinister cover-up, spanning decades and costing countless lives. David Raker is a fabulous creation; and full disclosure, I'm a little bit in love with him. Every adventure he embarks upon at Mr Weaver's hands shows us hidden depths and strengths hitherto undisclosed in previous outings. I was desperate for David to find the entire Ling family and return them intact to Emily. The villains David encounters are so vile, the corrupt cops so cunning, but through is all David maintains his dignity and his position on the moral high ground. When the book ends I am left bereft, heartbroken and suffering from severe Raker-withdrawal. Mr Weaver always provides us with substantial and fulfilling fare. Delicious! 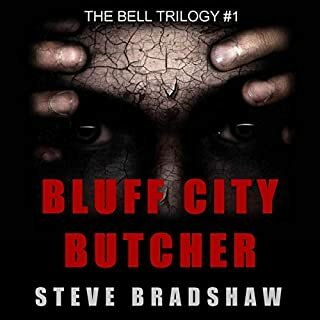 The thing is, and I don't know if you agree with me, when an author becomes known for writing brilliantly clever and evil plots, and then his new book has the reading world waiting with baited breath in anticipation, something is bound to go wrong! No need to panic, there's nothing wrong with Twisted; it's crafty, quirky, unique and Curly-Wurly-esque in its twistedness. (I'm just making words up now). If this had been my cherry popping Steve Cavanagh book, it would get 5 stars; but it's not. Mr Cavanagh is a victim of his own success, because, you see, I love Eddie Flynn. 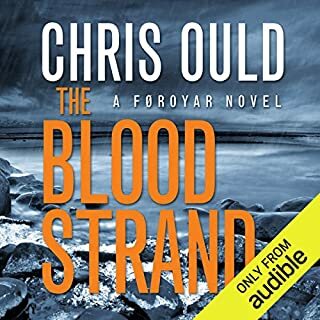 I really, really love Eddie Flynn, and I love Adam Sims, the narrator, therefore anything Mr Cavanagh writes that doesn't have Eddie Flynn in the starring role and isn't narrated by Adam Sims, I'm going to struggle with. Having said all that, Laurence Bouvard narrates Twisted superbly. I just adore her accent, and the story line is inspired and unique in a literary world that has seen every twist and turn possible, Mr Cavanagh has managed to carve out an entirely new loop-the-loop. His writing is masterful and eloquent and I listened to nearly 12 hours in just 2 sessions because I was transfixed. The only thing missing for me is Eddie! 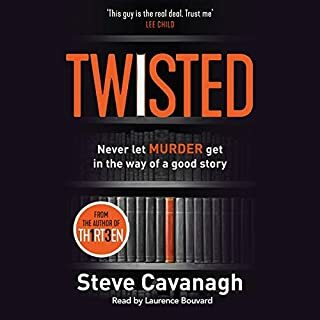 Assuming you are a normal and rational person and not in love with a fictional character in a book, then I highly recommend you listen to Twisted and give it the full 5 stars. You can thank me later! A captivating tale that takes the listener on all kinds of journeys. 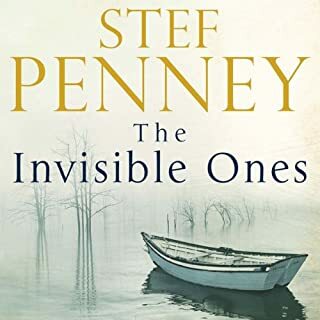 Stef Penney has created a compelling and engrossing story that pulls you in, keeps you close and leaves you feeling bereft when it's over. Dan Stevens turns in a wonderful performance as narrator and the whole package is just divine, which I'm thrilled to recommend. How I wish we still employed English in the same way as the 1940s. If we did, I'd say this was a jolly good listen, full of japes and adventure. I love Teddy, (OK, that's not very 1940ish), he was just the most divine character. His efforts to love a good life, even when it was full of disappointment, were laudable. He was sorely let down by his daughter, but his relationships with his grandchildren and sister, Ursula, were tender and sweet. Alex Jennings' narration was sublime, I hope that he used his everyday voice. This was such a beautiful and moving story. Kate Atkinson has drawn wonderful characters and I was totally invested in all of them. 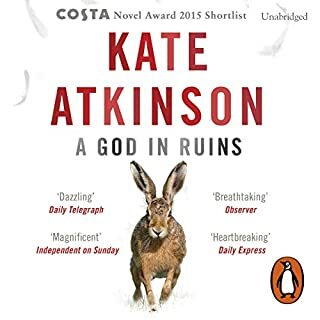 Upon finishing this book I immediately went and bought the first in the Todd Family series and will buy more by Kate Atkinson. A compelling, commendable, clever and captivating creation that I'm privileged to have read and highly recommend. 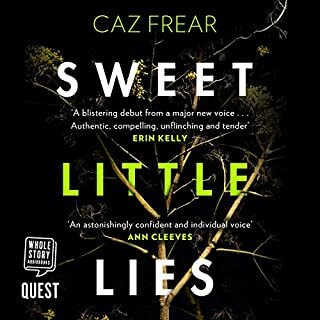 This is a great first novel from the pen of Caz Frear. Cat Kinsella is a fabulous police officer, totally credible and I warmed to her immediately. Her relationship with her colleagues was healthy, thank goodness. I'm fed up with police officers stabbing each other in the back and generally climbing over their colleagues still warm corpses in their selfish attempts to rise to the top. The whole tale of murder, deceit and skulduggery was carefully thought out. 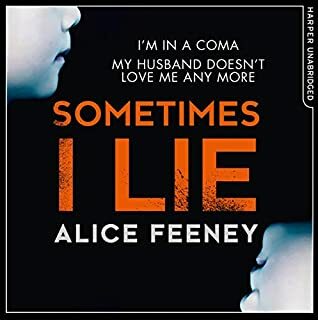 Each individual strand seemed disconnected until Ms Frear applied her immense talent to weaving them together and making a colourful tapestry of lies and crime. Cat Kinsella and her fellow officers are a great team, and I know she's on secondment for a while, but I really hope the band gets back together for another concert soon. 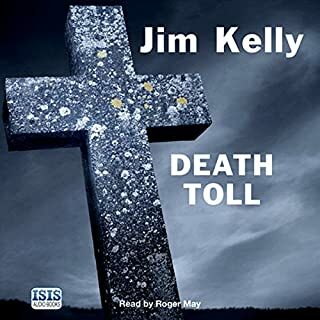 Great narrating from Jane Collingwood helped take an excellent book into exceptional audio book. Can't wait for the next one! Upon finishing I discovered this was book 3 in a series of 5. Why publishers need to keep this a secret from readers is one of my biggest bugbears. Every book that's part of a series should be clearly marked as such, this book should be entitled Death Toll, book 3 of 5. Listening to the story was great, it was clever with lots of twists and turns, plenty of credible suspects and enough red herrings to keep an Arsenal supporting Scandinavian happy for months. However, the whole way through I felt there was something, a little thing that I kept missing. Like I'd done a 1,000 piece puzzle and found 1 piece missing. Of course, now I know why, because this is part of a series and, although reads perfectly well as a standalone, if you read the previous 2 in the series first, you'll have a deeper and clearer picture. Well narrated by Roger May, there were periods when the narration was very quiet. A great story though. To be honest, by the end of this book I was terribly confused. I had no idea who Claire was? It seemed to me at one point that Claire was driving the car and talking to her passenger who she called, "Claire". Maybe I wasn't paying close enough attention, or maybe the audio version didn't succeed on holding my attention. Stephanie Racine did a fine job narrating this tale. I guess I just didn't feel invested in Amber/Taylor/Claire. Can't please all of the people, all of the time.